Music Producer/Songwriter Vernon Hill and featured Singer/Songwriters from compilations of Worship albums: "Songs from His Presence", and new Worship EP "Unshaken" come together in a powerful praise and worship experience event. OWINGS MILLS, Md. 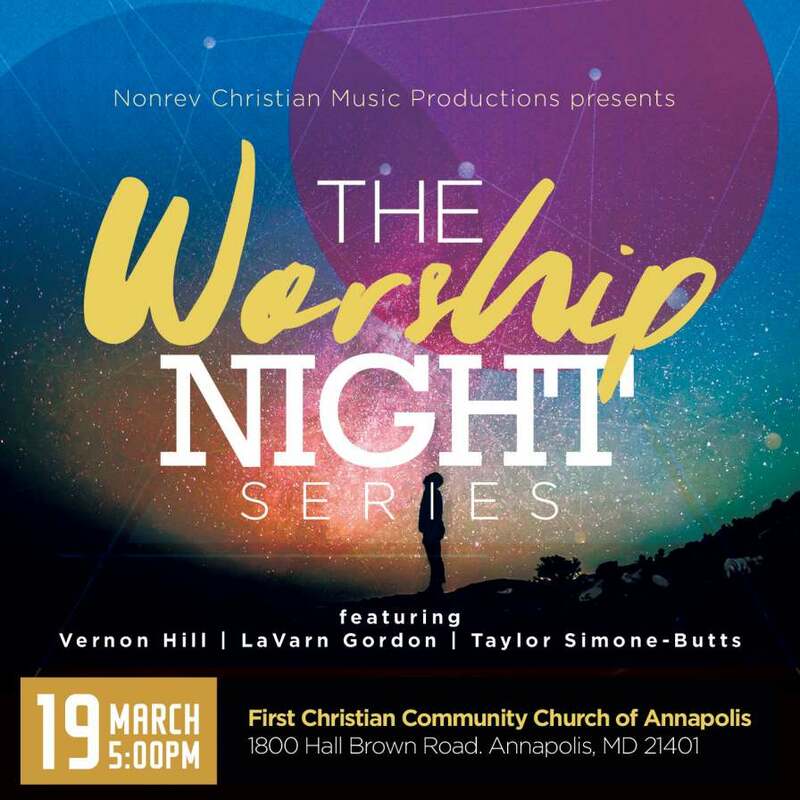 - March 12, 2016 - PRLog -- The first scheduled worship night will be held at First Christian Community Church of Annapolis; 1800 Hall Brown Rd, Annapolis, MD 21401 on March 19th at 5:00 p.m.
"The night was filled with non-stop worship and the audience responded in kind". These awesome worship leaders and musicians come together to minister Christian Contemporary Songs of Praise blended with Original Songs of Worship. The focus is to cultivate a life-changing ministry experience of encouragement, prayer, and songs that will lead you into His presence. Nonrev Christian Music Productions (NCMP) mission is to release inspiring music projects, develop artists, and create songs that would edify the church body in worship. Our desire for our music projects that we release, or compositions that we compose for other emerging and established artists' projects, is to deliver a polished, professional sound that inspires music listeners, and would glorify the name of our Lord and Savior Jesus Christ. NCMP is a division within the Music Production and Publishing Company of Nonrev Music Productions & Publishing, LLC.